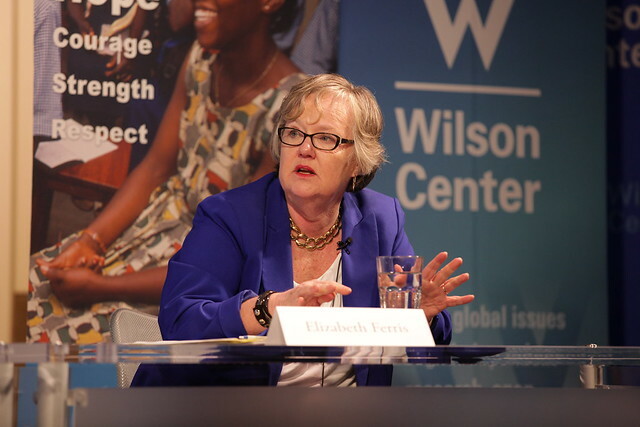 Since 2008, the United Nations High Commissioner for Refugees (UNHCR) has recorded a dramatic increase in people seeking refuge from endemic levels of violence in El Salvador, Guatemala, and Honduras—otherwise known as the Northern Triangle region. Neighboring Central American countries and Mexico have seen the number of asylum applications from the Northern Triangle grow thirteenfold. The United States alone received more than 125,000 requests for asylum from individuals from these countries. Women fleeing this region and parts of Mexico make up part of an under-reported and poorly understood refugee situation. Join us for a presentation by the UN High Commissioner for Refugees, the Honorable António Guterres, as he launches a new UNHCR report, Women on the Run. This report portrays first-hand accounts of 160 of the women from the Northern Triangle and parts of Mexico who have been screened by the U.S. Government to have a legitimate claim for asylum. A panel discussion on this looming refugee crisis and the need for a regional response will follow.